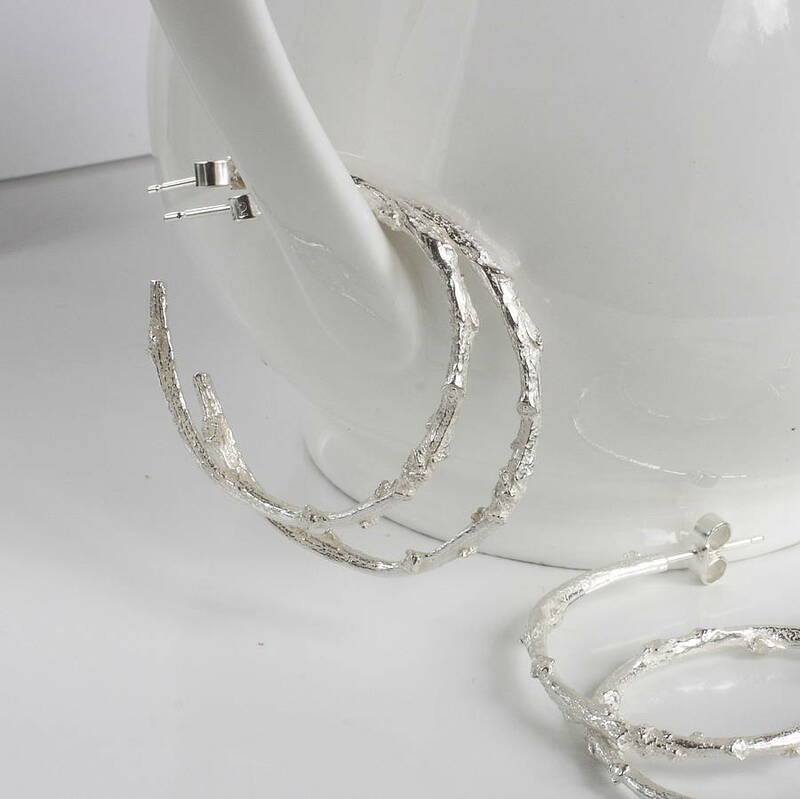 Stunning original designer silver hoop earrings. 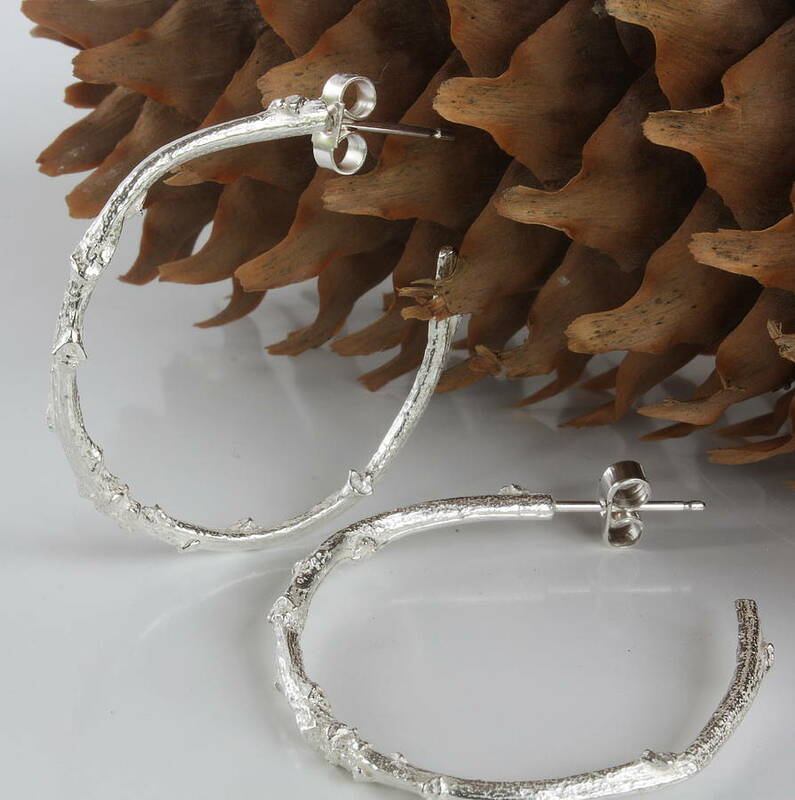 A new addition to my jewellery from nature range, these earrings have been cast in sterling silver from an amazingly detailed twig found on the beautiful Headley Heath in the Surrey Hills. The full texture of the bark and buds are clearly visible making an intriguing and original piece of jewellery. If you love beautiful jewellery and something a bit different then these earrings would be perfect for you or ideal as a special gift. 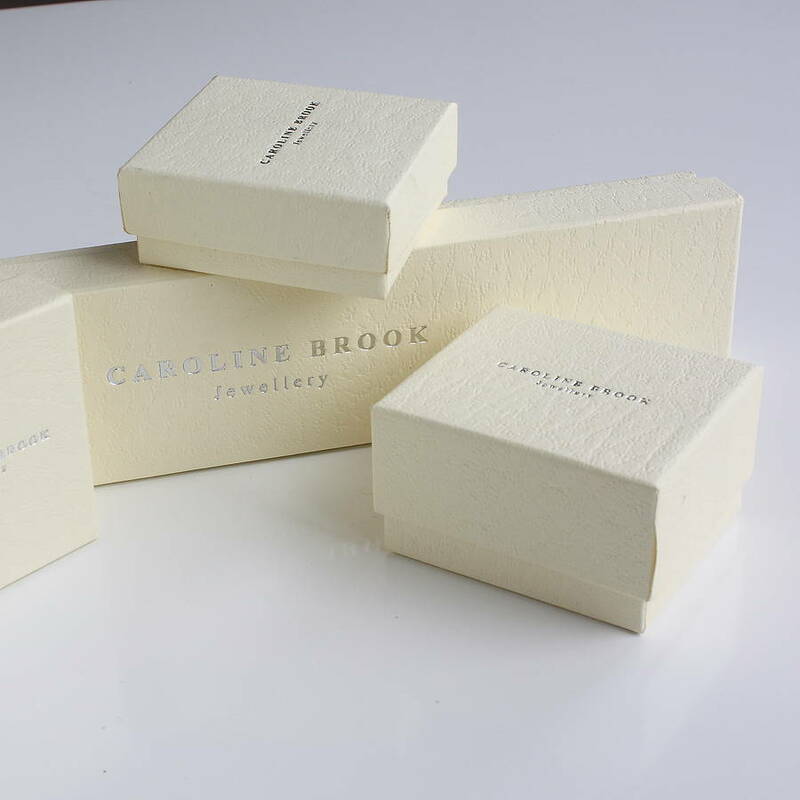 Your jewellery will arrive in a signature Caroline Brook gift box. If you choose the gift option your jewellery can be disptached directly to the recipient with a special note which will not reference the price. 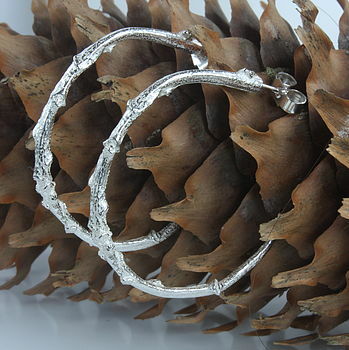 Also available in the Twig collection is a matching necklace and a choice of rings. 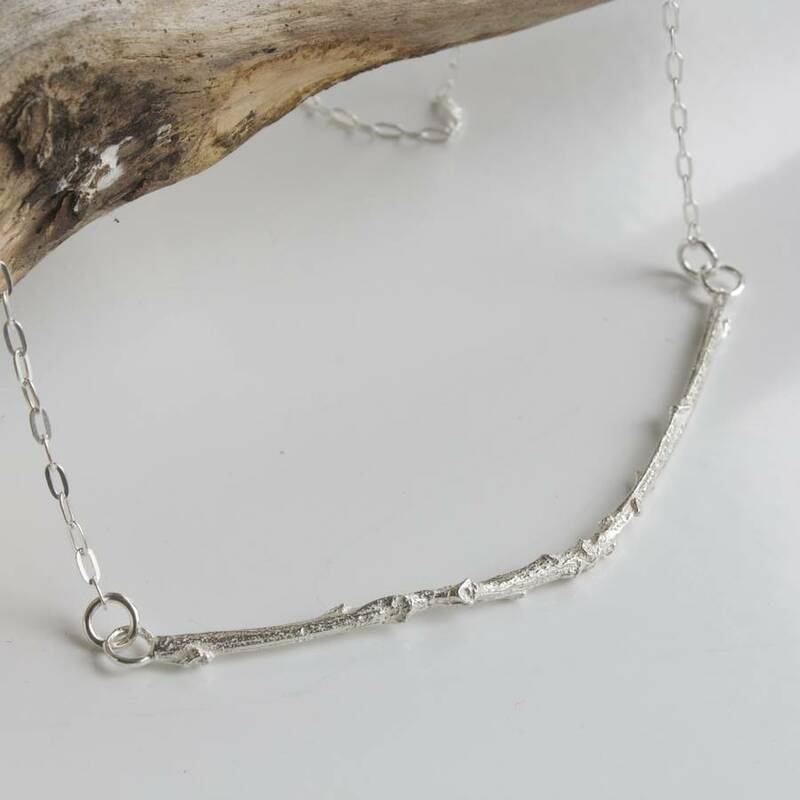 If you would like to add the the silver woodland twig necklace to your order please select from the drop down box.